Copy and reuse your best work with just a couple of clicks. Smartsheet’s newest features allow you to work smarter by jump-starting new projects without re-creating anything. Copy folders and workspaces, send powerful reports to anyone without sharing underlying sheets, and access more time-saving features on mobile. Copy your best folders and workspaces to make any project repeatable. Start new without re-creating anything -- Smartsheet automatically copies over all of your reports and linked cells for you. No more manual copying and pasting. Cell links that are pointing to a sheet included in the folder or workspace that you are copying will be automatically remapped. As a result, the new cell links will point to copies rather than the originals. Highlight key information from your sheets in a report and share it to anyone (even non-Smartsheet users) with a simple URL link. 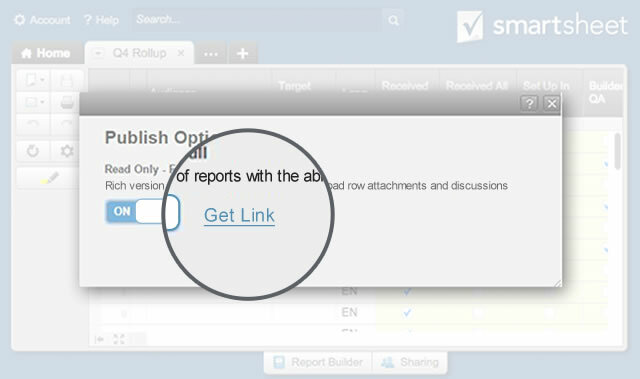 Reports are created without sharing the underlying sheets and viewers don’t need to login to Smartsheet to access the report, letting you share your work more broadly and keep everyone up to date. Three new iOS and Android Smartsheet mobile app features - applying filters, adding symbols, and accessing favorites - keep your work consistent across all devices and helps smooth the transition as you move between desktop and mobile. The Smartsheet mobile app can now apply filters to the sheet grid, so you see the same rows on your mobile device that you do on your desktop. Both the iOS and Android apps support all of the new symbols available on your desktop. Access your favorite sheets faster with your Favorites list on mobile, located just below the Recent Items section of the home screen on iOS and Android. With these new features, your best work lives on. 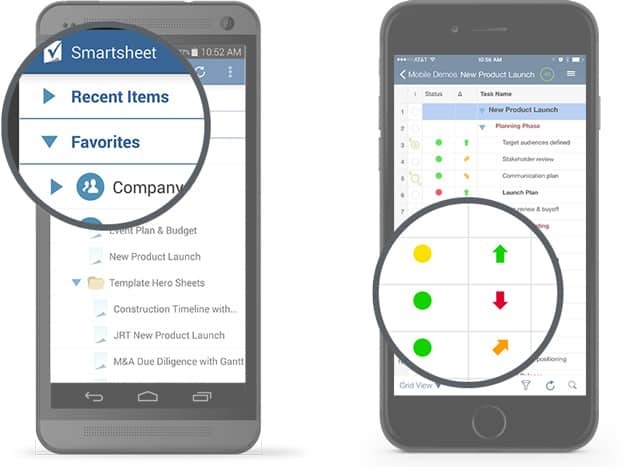 Stay tuned for more Smartsheet improvements in the next feature release. when are you going to do a blackberry app? The resource plan in Smart sheet is not very user friendly. If there is more than one resource working on a task you have to make two rows of the same task. This become complicated when transporting to and from Microsoft Project. It would be nice to have the feature of declare a row as private for the project owner o viewable for specific users. Is there a plan to increase the "import file size" parameter for MS Project files? i love it, it makes my work easier. When are we going to be able to modify dependency on iOS apps ? This is a game breaker for us, we are waiting for this before we get a paying account with you. How to manage capacity resource planning? Please I would like to use this tool as a resources planning in order to allocate task to resource and to have a full view on the Task / resources and the overload; in order for me to reallocate to other resource that are not overloaded. to have a consolidate view in easy way to manage task allocation and resources. Regards, Kevianh. RE: How to manage capacity resource planning? Kevianh, thank you for reaching out for assistance. Have you tried the resource management page and tutorials? Visit https://www.smartsheet.com/resource-management-getting-started – If additional help is needed, another helpful resource is the Smartsheet community page at community.smartsheet.com – Lastly, if there is a need for a "consolidate view" that is not currently available, let us know and we will notify the product team. Thanks again! - The Smartsheet team.